Note: this procedure is for USB to Serial cables that use the FTDI chip set. 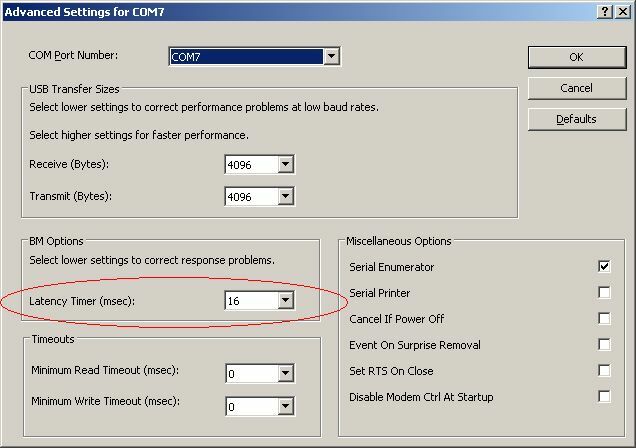 Once the included driver is installed (takes about 30 seconds) the latency setting needs to be changed. The following guide shows how this is done. This guide was created on an XP box. Be sure to leave the USB to Serial adapter cable plugged into the USB port while making this change. 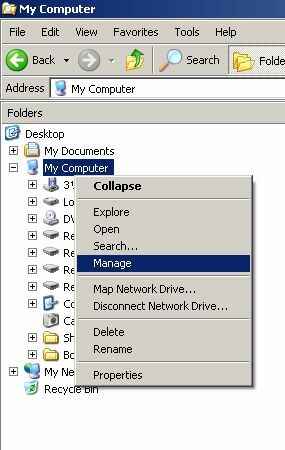 First is to open the Device Manager. Here are two methods of doing this. Both are from a right click of the mouse. The left picture is from the "My Computer" desktop ICON. The right picture is from Windows Explorer. 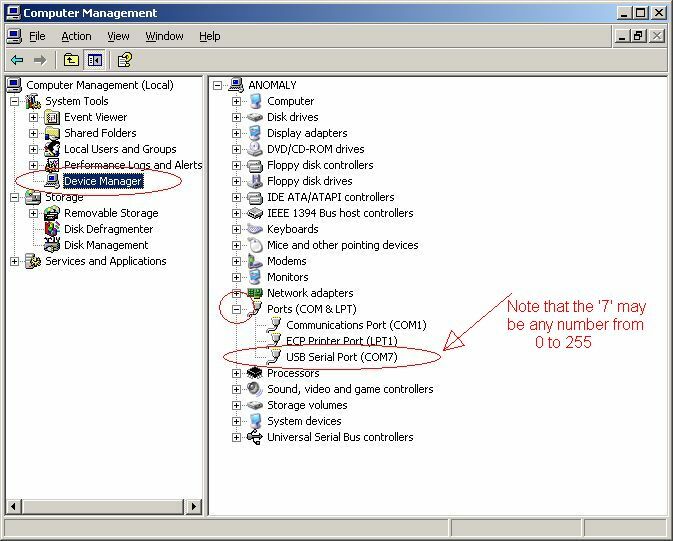 On the left pane click on "Device Manager", then move to the right pane and expand the "Ports (COM & LPT)" entry (click on the + in the box). Click on the "Properties" entry. 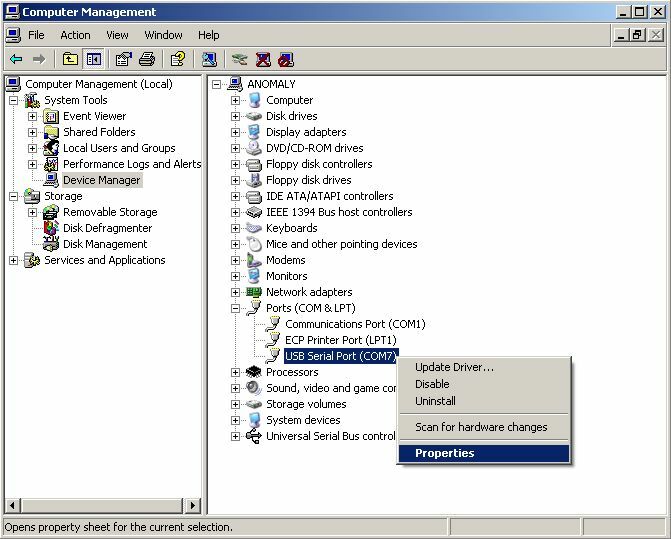 The FTDI driver Properties dialog menu will appear. 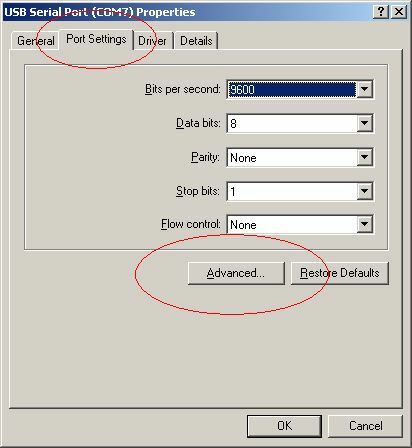 Click on the "Port Settings" tab at the top, then click the "Advanced" button. The "Latency Timer (msec)" setting is to be changed. Click on it then select or enter 10. 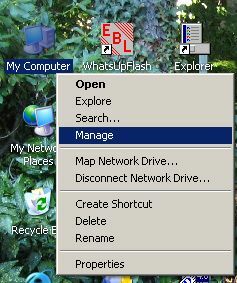 Click on the OK button, and follow back through the dialogs clicking OK in turn. 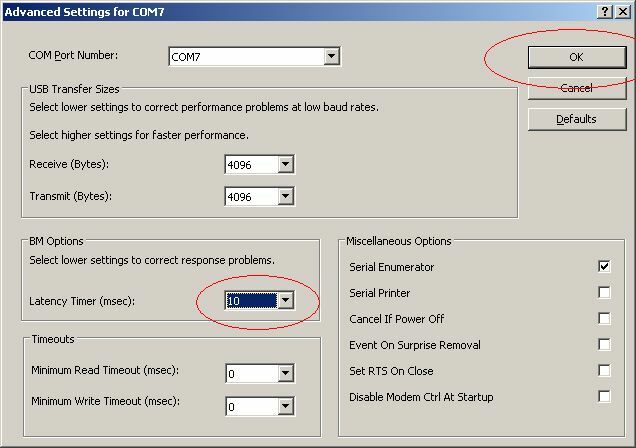 If flashing a new calibration fails during the verify, lower the latency setting further. Try 8, then 6, then 4 until it works every time. If the latency setting is left high the What's Up Display will be able to data log and do VE Learns and such. Where there will be issues is with flashing a new calibration. There will be intermittent failures in the process. Sometimes it will work, other times it won't. The flashing may work OK but then the verify fails. Lowering the latency timer corrects these issues. With the proper setting there should never be a failure to flash, verify, or set the bank active.